We drove home from Orlando today. God was certainly kind to us, hardly any traffic and the weather was just beautiful. Made great time. It’s good to be home for a while. I am going to spend some time doing some sewing. I would like to send a couple of summer dresses down to the baby. Pope Francis canonized two new saints on Sunday, June 5, 2016. 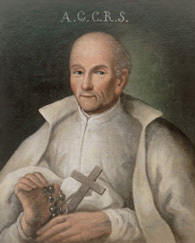 The first is Saint Stanisław Papczyński, M.I.C. He was born May 18, 1631, in Pdergrodzie, Polis-Lithuanian Commonwealth and died September 17, 1701, in Gora Kalwaria, Polish-Lithuanian Commonwealth. He is the founder of the Marian Fathers. He was beatified on September 16, 2007, by Cardinal Tarcisio Bertone in Poland. He is the patron of Marian Fathers, Unborn children, and children with learning disabilities. His feast day is September 17. 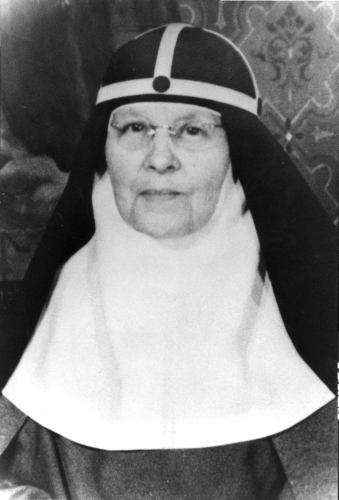 The second is Saint Elizabeth Hesselblad, O.Ss.S. She was born June 4, 1870, in Keflavik, Vastra Gotaland County, Sweden and died April 24, 1957, in Rome, Italy. She was beatified on April 9, 2000, by Pope Saint John Paul II in Saint Peter’s Square, Vatican City. She is the patroness of Bridgettine Sisters, Nurses, and Converts. Her feast day is June 4. How blessed we are to have the Communion of Saints to intercede for us. I am always in awe when new saints are canonized. Growing up going to Catholic elementary school, I remember listening to the sisters at school talking about how wonderful the saints are and I can remember thinking that the saints were canonized so long ago and just never thought that there were still saints to be named. How very happy I am that my juvenile misconceptions were wrong. Praise God.